Pakistan have included uncapped duo Shaheen Afridi and Saad Ali in a 15-man squad for the Test series against New Zealand - but there is still no place for Mohammad Amir. Left-arm seamer Afridi has been called up after impressing in limited-overs action for his country, including taking successive four-wicket hauls in the ongoing one-day series with the Black Caps. The 18-year-old could make his Test debut later this month despite playing just two first-class matches in domestic cricket. As for Ali, the batsman's selection comes after he scored 144 for Pakistan A against New Zealand A in the second unofficial Test held in Abu Dhabi this week. Opener Imam-ul-Haq is also included despite being struck on the helmet by a Lockie Ferguson delivery during the second ODI on Friday, scans clearing the opener after he was taken to hospital following the blow. Imam ul Haq injury update. 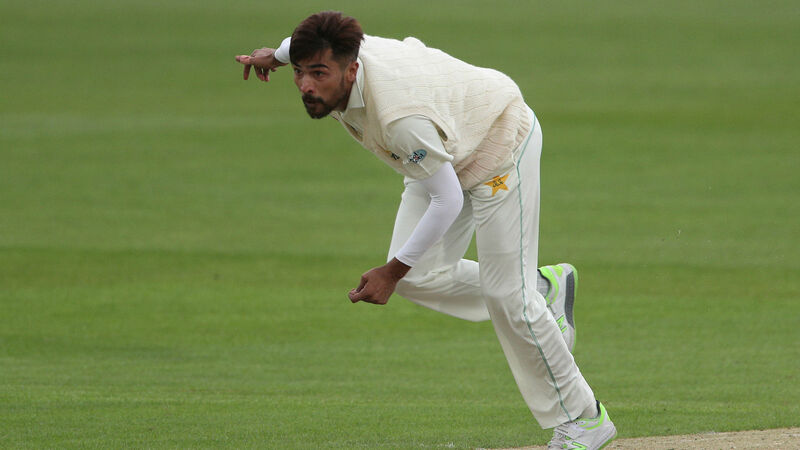 Dropped for the recent two-Test series against Australia, paceman Amir is once again a notable omission. Fakhar Zaman and Shadab Khan are also missing from the list, with the Pakistan Cricket Board confirming in a statement that the pair have been rested. They will undergo training at Pakistan's national academy instead. The first of three Tests with New Zealand starts on November 16 in Abu Dhabi, with the same venue also staging the series finale from December 3. The second match will be played in Dubai from November 24-28. Pakistan squad to face New Zealand: Sarfraz Ahmed (capt), Mohammad Hafeez, Imam-ul-Haq, Azhar Ali, Asad Shafiq, Haris Sohail, Babar Azam, Saad Ali, Yasir Shah, Bilal Asif, Mohammad Abbas, Hasan Ali, Faheem Ashraf, Shaheen Afridi, Mir Hamza.